Many of the listed reputed companies in India accept fixed deposits from the general public. Many of the listed reputed companies in India accept fixed deposits from the general public. 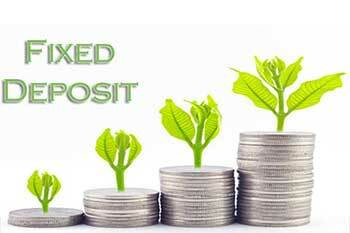 These companies offer interest rates that are usually higher than fixed deposits. So, how safe are these deposit schemes and should investors go for these schemes? Generally speaking, large companies listed on the stock exchanges having decades of track record of operating successfully in their businesses and reliable management at their helm make for a good investment opportunity even on the stock exchanges. So, when such companies invite deposits from the general public, they also make a good bet for investment. No doubt, such companies may not offer very high interest rates on their schemes, but they do offer decent returns along with safety of capital that will give you peace of mind. On the other hand, little-known listed companies having businesses that you are not aware and if the past track record and the professional credentials of their managements are unknown, it becomes a risky proposition investing in such companies. To attract investors, such companies offer very high rates of interest on their schemes, but it is wise not to fall for such schemes because the safety of your capital may be compromised in the bargain. An objective way to choose good company deposit schemes is to invest in schemes that are rated ‘AA’ or ‘AAA’ by the credit rating agencies and avoid unrated schemes altogether. As for schemes of non-banking finance companies, the Reserve Bank of India has mandated that the scheme should have minimum ‘A’ rating for being eligible to accept deposits from the public.